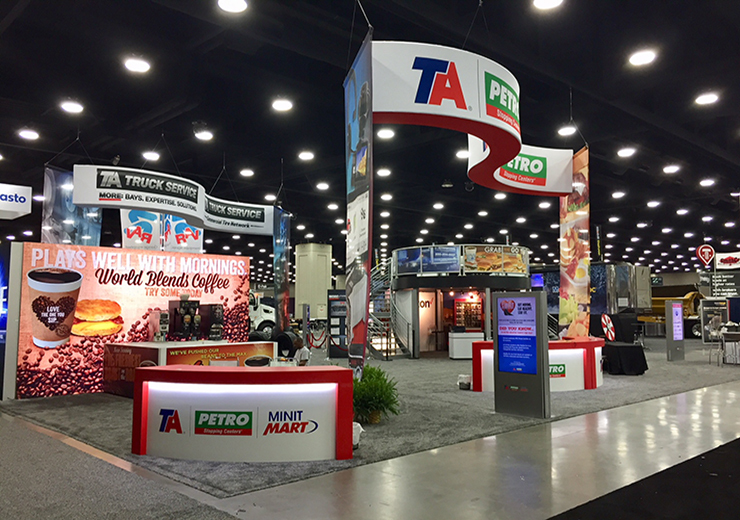 Whether you couldn’t make it to Louisville for MATS, you missed any of the events in the jam packed show schedule or you just want to relive the excitement all over again, we’re sharing some of our favorite moments from the show. On Saturday afternoon, we joined Women in Trucking for their annual Salute to Women. After welcoming the female drivers into the salute with a round of applause, WIT put on an amazing program complete with history, achievements from the past year, inspirational words and goals for the future. 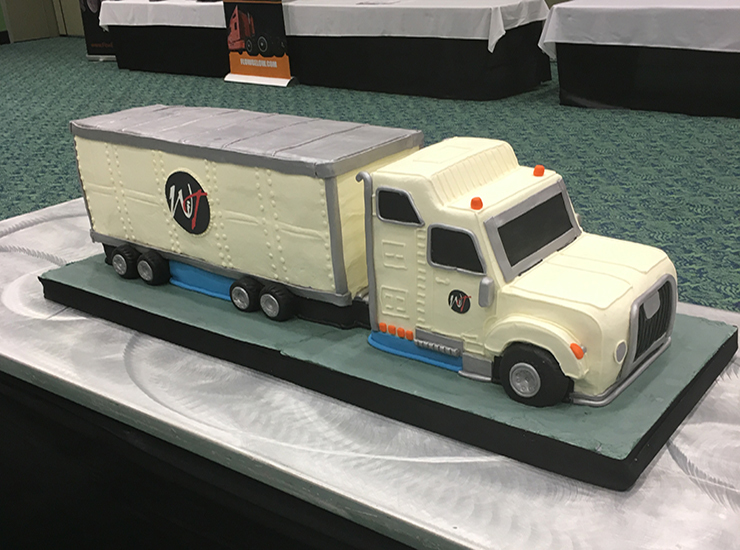 The celebration also included a big rig cake, swag bags for everyone, their annual group photo, lots of door prizes and one WIT member even won a Volvo Truck. Tiffany Hanna, a professional driver and trainer at Prime, Inc. is now an owner-operator thanks to WIT and Arrow Truck Sales. But that’s not all; the prize included a first fuel tank fill and Platinum Loyalty Status for a year from TA-Petro, plus thousands of dollars’ worth of additional prizes to trick out the truck. We were also lucky enough to meet Clare, the female professional driver doll! Clare will be available for sale soon at TA and Petro locations. 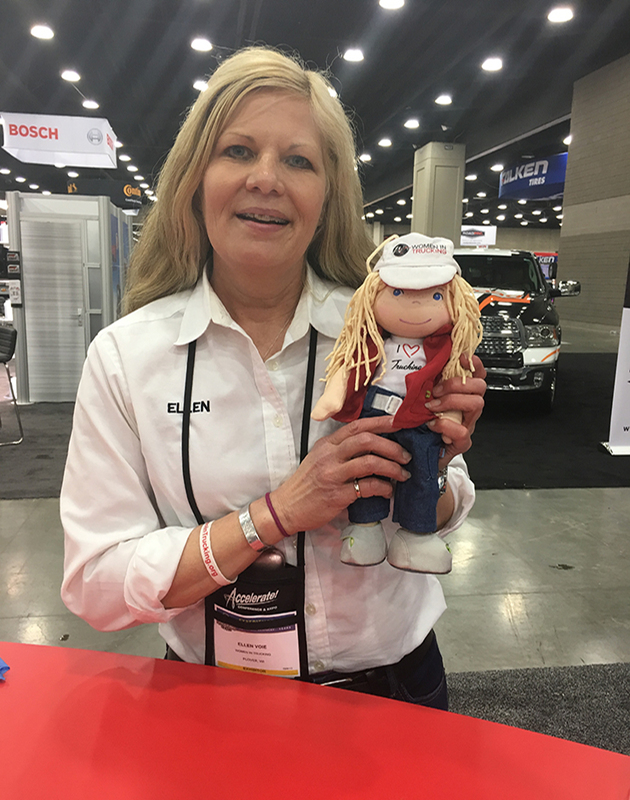 She is first in what Women in Trucking plans to be a series of dolls that pay homage to females in the trucking industry. Other dolls in the series might even include a female technician or fleet manager. The hustle and bustle of MATS is part of the fun of the show, but our Platinum members could also kick back and relax in our UltraONE Platinum Member Hospitality Suite. With a wide variety of food and drinks plus plenty of comfy couches and tables to sit at, it was the perfect place to recharge before tackling rest of the show floor. 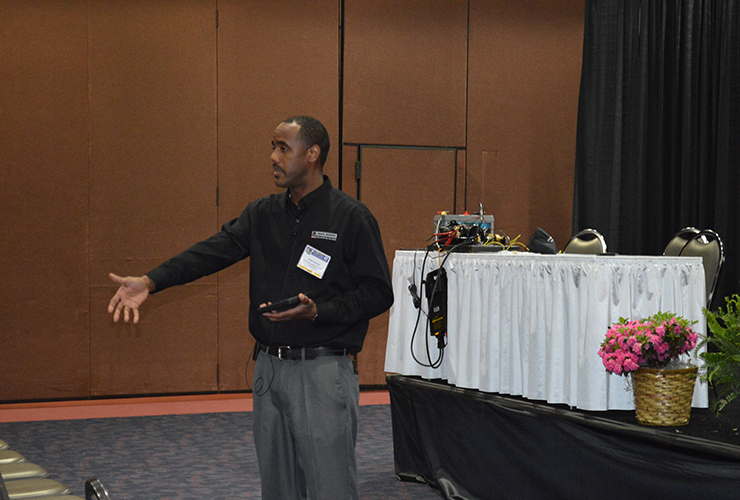 From driver health and business management to today’s truck technology and more, the seminars at MATS gave attendees an opportunity to get face to face with industry experts and pick up tips to improve their business. 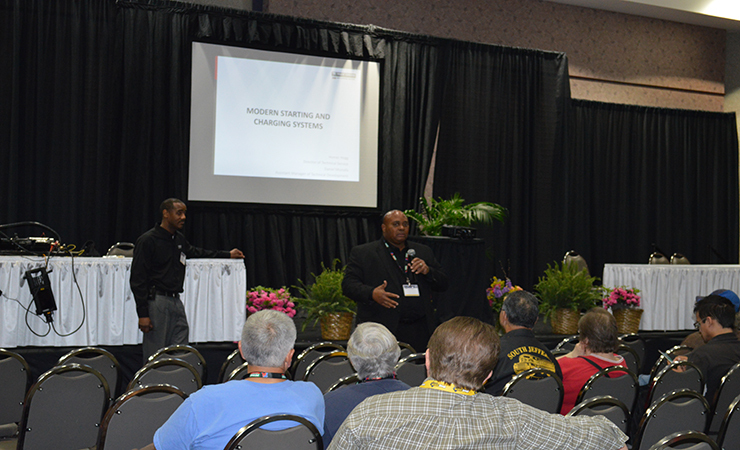 We may be partial, but we loved Homer Hogg and Daniel Mustafa’s presentation on “Starting and Charging Systems on the Modern Truck.” Daniel took the lead and educated the audience on modern day batteries and alternators, including how to maintain them and when to repair or replace them. Drivers left the seminar with a checklist of tests to run on their rigs. Homer Hogg wasn’t the only celebrity sighting at the show. Mobil Delvac hosted Kellie Pickler at their booth on Friday and drivers had the opportunity to meet her before she performed in front of a packed house in Freedom Hall that night. With thousands of drivers in one place, it only made sense for TA/Petro executives to come in and meet with them. We hosted three driver councils where leadership met with drivers attending the show to hear first-hand about life on the road, and how we can better serve them. 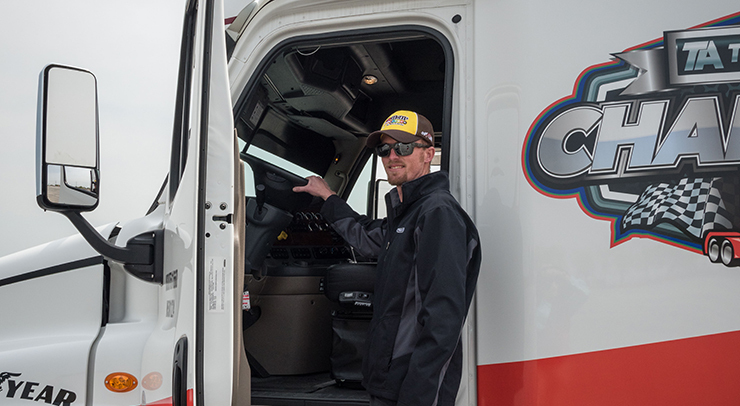 While most of the drivers were inside enjoying the show, TA Truck Service technicians were hard at work outside in the Papa John’s Cardinal Stadium free truck parking lot performing service on trucks. From fixing trailer hinges and smoking brakes, to running diagnostics and installing tires, our technicians helped drivers with maintenance and emergency repairs alike. MATS was your first chance to sign up for Spring Savings at Iron Skillet and Country Pride! Drivers who dine six times and spend $10 or more at each visit will earn a free entrée on their seventh visit. This program is available at all participating restaurants. MATS attendees also had the first opportunity to trade points for entries for the UltraONE UltraSweeps. Drivers could enter at the kiosk in our booth – or now at any site – to win a VIP package for our sites that includes a free meal, shower and one night of reserved parking. Site VIP packages are awarded daily, but one grand prize winner will win an all-expenses-paid trip for two to the Monster Energy Cup Series NASCAR race in Las Vegas in September. Still can’t get enough of MATS? Check out our Instagram to see more of our favorite pictures from the show all week long. What Does Your Favorite Type of M&M Say About You?